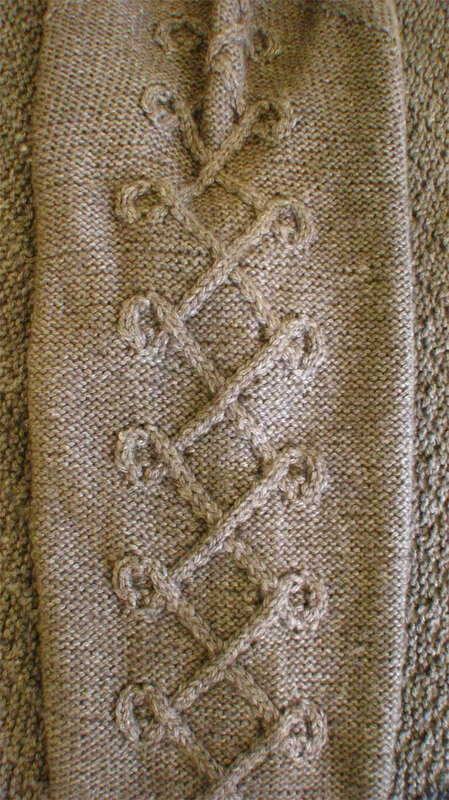 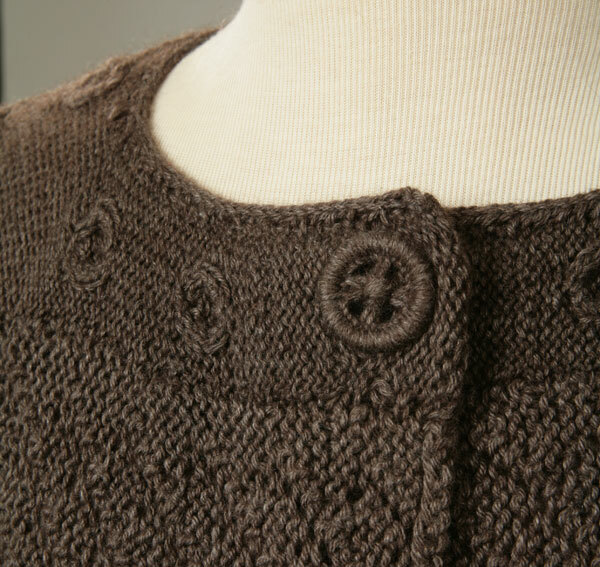 Through the fine art of innovative design, this cardigan grows from side to side as you cast-on at the right front edge and knit through to the left. 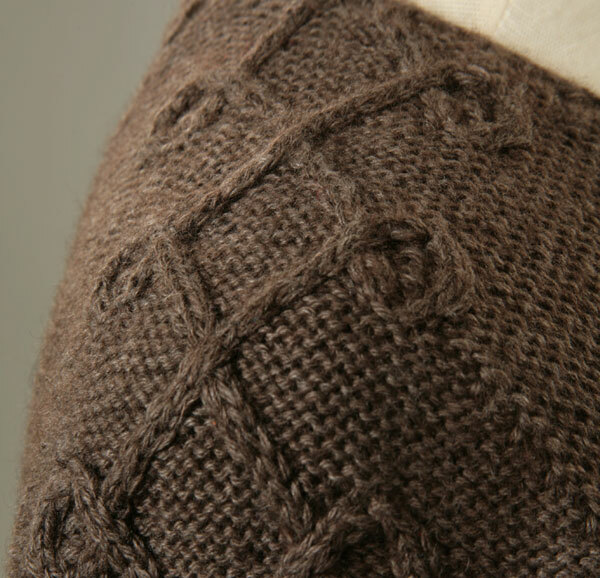 Up and down the sleeves and on the back panel, 2×2 cables cross and swoop like the lacing on fine Italian boots. 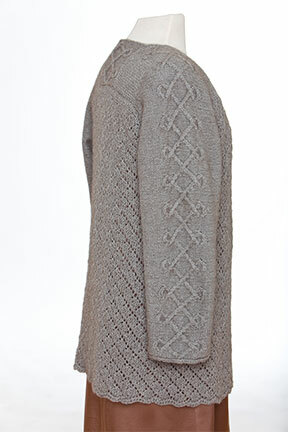 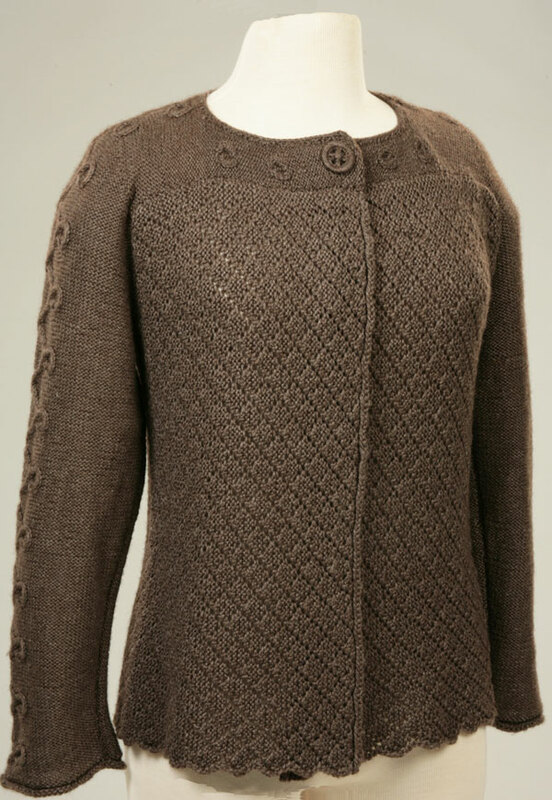 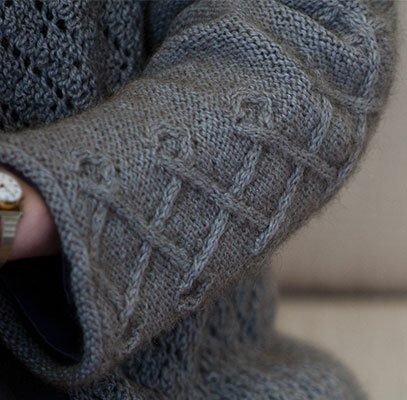 Below the yoke, diamond lattice lace gives the body of the sweater an airy bounce. 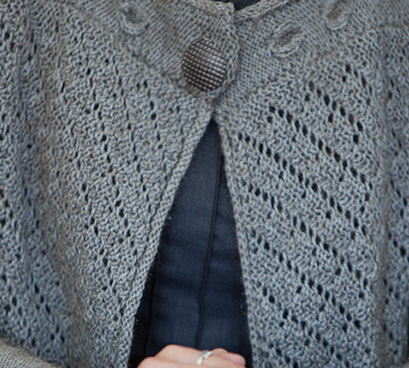 Don’t let the combination of cables and lace throw you for a loop. 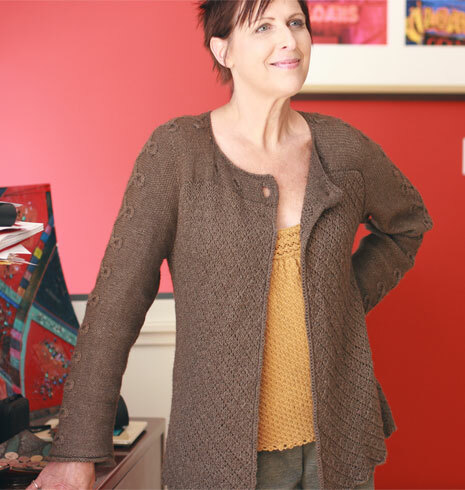 You’ll knit the sleeves and the back panel separately from the body of the sweater, making the cables a manageable on-the-go project. 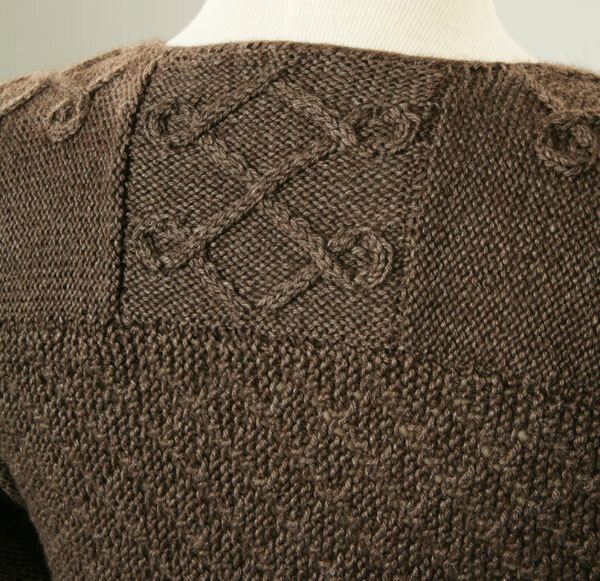 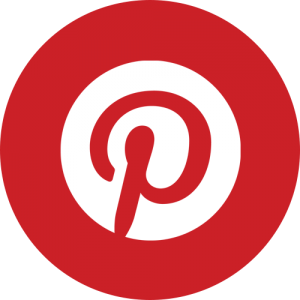 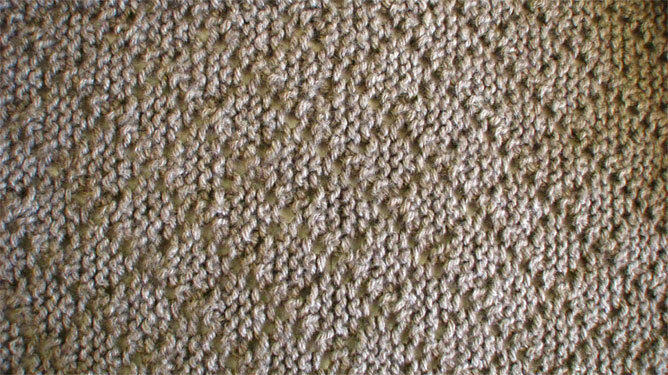 Even this most intricate looking sweater is an achievable and rewarding challenge.